← Is Running A Selfish Sport? 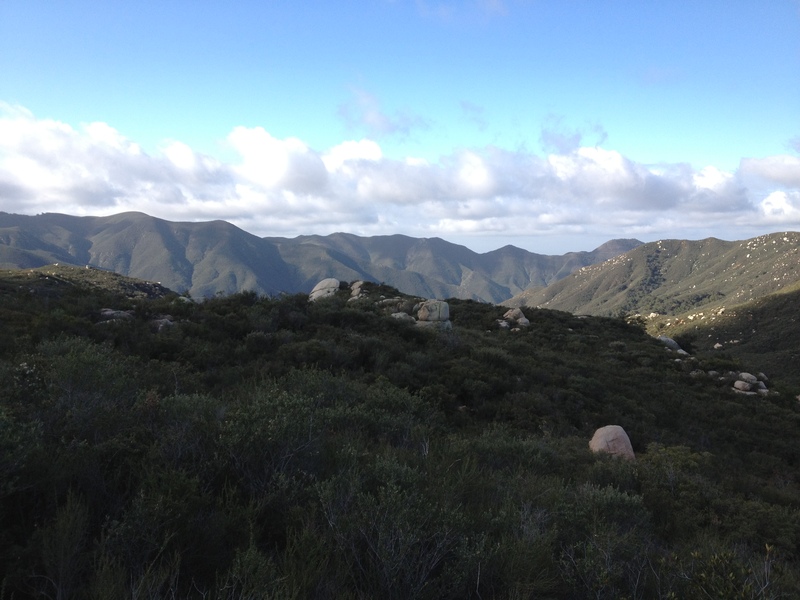 This 100 mile race takes place in southern California and has over 22,000′ of elevation gain. It is rated as one of the toughest trail races in the country and lived up to this based on my limited experience. I arrived at the start in the early hours of Saturday morning when it was dark, cool, and the sky was filled with stars. Fortunately the race director had us wait until there was enough light for us to take off without our headlamps. The race provided everything I had hoped for and so much more. It had beautiful single track trails, long climbs with incredible views, descents that you could run (at times) and terrain that challenged the feet of most runners, regardless of their shoe selection. Steve Harvey, the race director, and all the volunteers were incredible and reinforced why I love the ultra community. They were so kind and helpful in offering me advice, continual encouragement, and more food that my stomach wanted to experiment with. My fellow runners lived up to my past experience as well in that the camaraderie and support offered to everyone, regardless of where we were in the race, made you realize this wasn’t a road race. I think what makes these runners different is that we were all suffering together at one point or another and respect each other all the more as a result. Given the challenging weather this course has had in its first few years, none of us could complain in 2012. We enjoyed great running weather throughout the day. However the temperatures dipped as night approached along with clouds that brought a continual mist and fog throughout the night and into the next morning. This made for an interesting challenge with visibility but the real problem was whether my body would hold up. I had started at a conservative pace for the first 20 miles but the elevation was slowly taking its toll. By the aid station at mile 33, I had been humbled several times and the delusions of finishing under 24 hours quickly disappeared. After climbing and descending close to 10,000’, I was running in the dark when I had arrived at the Silverado aid station (mile 56). My departure from here also signaled the departure of whatever confidence I had in completing this race in less than 30 hours. The next 20 miles were ugly as my mind was playing tricks on me and I desperately wanted to stop and take a nap. Texts from my wife, my crew and good friend Bobby Goat, and music all played a key role in getting me to the Indian Truck Trail Aid Station at mile 75 where the entire race changed for me. Bobby Goat surprised me by being there to pace me from this point. This was a shock as he had been in a boot for the previous 2 weeks due to a strange tibial fasciitis and had been my crew throughout the day. Fortunately he thought he might be needed and signed up as a pacer the day before. He could tell I was struggling as I told him I might be walking most of the course when we exchanged texts at around mile 65. What was just as surprising for him was that after he joined me, I began to pick up the pace. We went from calculating how fast I would need to go to break 30 hours then 29, then 28, and finally 27 hours. I was moving and we were having fun passing other runners while offering encouragement at the same time. I was giving it everything I had and the Goat knew it! Despite the all pain and my previous doubt, the last 3-5 miles were probably some of my fastest ones of the entire 100 miles. I was flying as I hit the road for the last mile into the finish and couldn’t believe it had been over a day ago that I had started on this same road. I had beaten the demons, I had broken 27 hours (26 hours, 11 minutes) and earned my first 100 mile buckle that was presented to me by Steve the RD. It was by far the most challenging thing I had ever put my body through yet also the most rewarding. Running continues to be a blessing in my life that teaches me a great deal. It helps me to strengthen my faith, improve my fitness, while also helping me to meet many wonderful people and see amazing places. While there are many people I thank in the extended race report, I want to thank the Lord for all of the blessings in my life. I must thank Him for directing my paths and in getting me to this point, a place I could never have imaged only a couple of years ago! There are many more thoughts and reflections I will have over time as a result of this race. I am sure that many of my future posts will be influenced by this amazing experience. Ultimately I hope by sharing this experience here and in future posts that I may intrigue some of my road running friends to get out and experience the beauty and challenges of running on trails… maybe even an ultra! This entry was posted in Challenging, Doing our best, Romans and tagged 100 Mile, Faith, fitness, Jesus, Marathon, running, Trail running, Ultra, Ultramarathon, Ultrarunning. Bookmark the permalink. UNBELIEVABLE!!! Congratulations, Nick. Sounds like it was life-altering. So glad to know the Goat was there for you, too! Jim, It was incredible and I learned a great deal! The biggest of which I am capable of more than I would have ever thought possible! Thanks for the support and comment. WAY TO GO, NICK!!! I’m so proud of you! Thank you Lurleen! You and Chance are so incredibly supportive and I greatly appreciate it! Dude, great job, and you are insane doing this race for your first 100. In. Sane. Was fun seeing your cheery face out there at some of the aid stations. Nice report. Thanks Ken! 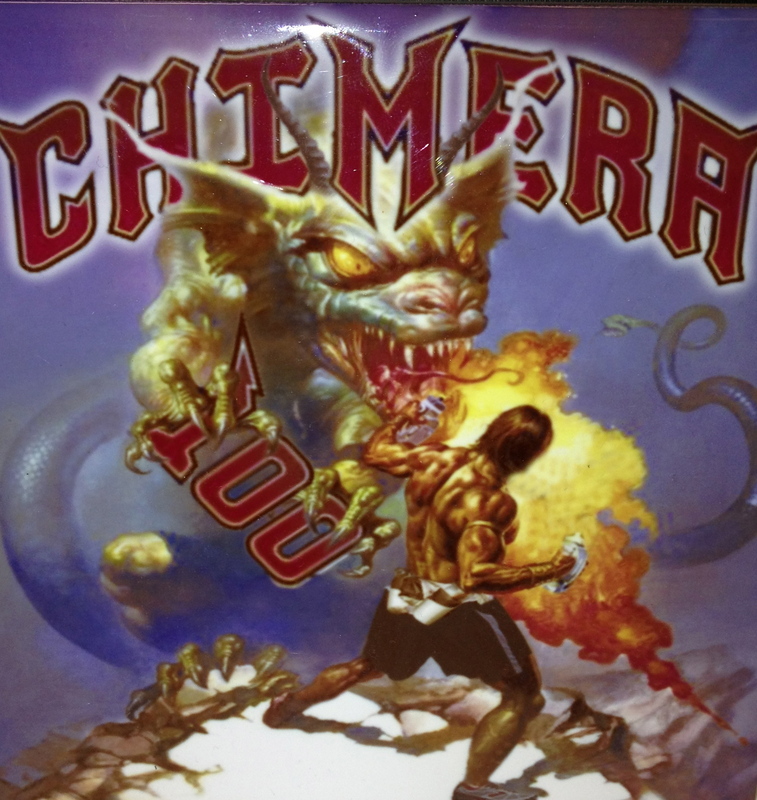 I didn’t realize how insane I was in choosing Chimera until I left the 33 mile aid station. However I wouldn’t change the choice or experience of the race and the amazing people out there for anything. Thanks for reaching out and hope to see you at a future ultra! Awesome! I just signed up for my first 50-miler in the spring. 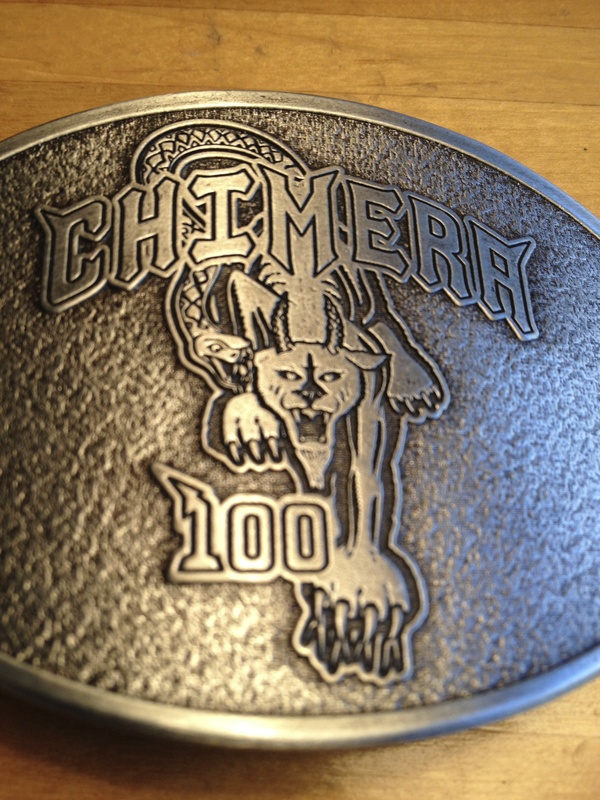 I’d love to tackle a 100-miler someday…but nowhere near that point yet haha. Good luck with the 50M! My first Ultra was a 50 miler in the spring of 2011.. then I jumped into a 100 this year. Looking forward to reading how it goes and feel free to reach out if you have any questions. Thanks! I might take you up on that when the race draws closer. I think reading about other people’s experiences is some of the best preparation, honestly. I ran my first marathon a few months ago (it was terrible…puked my guts out and had to walk several miles). 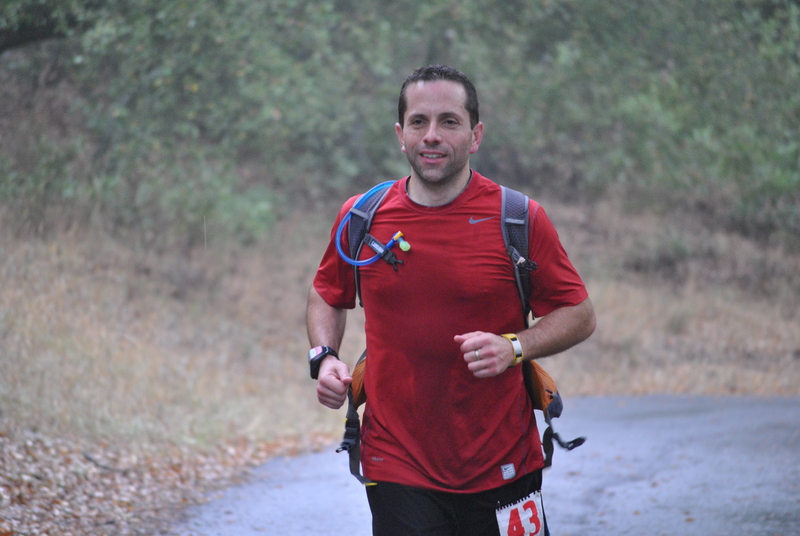 Then I ran a 50k trail race in October that went really well (felt terrific and beat my target time by 30 min). Right now I’m just trying not to be too lazy over the winter, haha! Congratulation! What an amazing accomplishment! Congratulations on earning your buckle! Very awesome! Thank you! it was incredible! Wow. What an amazing story and an incredible finish to the race! 100 miles in just over one day. God has truly blessed you with the gift of running! Thank you so much! God has blessed me and all of us with so much but running is a gift I treasure each time I head out on a run. Congratulations again on your marathon as well!